As a website owner/administrator, it's a best practice to always have the possibility of adding/removing users from your Google Analytics account and editing any setting on the property to make it work as you want. Why I can't create filters in my Analytics? I want to upgrade the permissions for my user and don't know how. If that sounds familiar, don't worry I'll show you how you can get full permissions of your Google Analytics even if the current owner is unreachable. Don't remember the email address you used for your Analytics: follow these guidelines. Don't remember your Analytics password: Google Analytics uses the same password as your Google account. If you lost it just click on Forgot password? to reset it. You think you are using the correct email and password, but still can't sign in. Your user is not valid: To be able to sign in to GA you must use a Gmail address or a personal email ([email protected]) that is linked to a Google account. If you unlinked the email, you need to connect it again or ask the administrator to change your user email. Your user is valid: Contact the administrator of the Analytics account (must have Manage Users permissions) and make sure you have access, if not ask them to give you access. 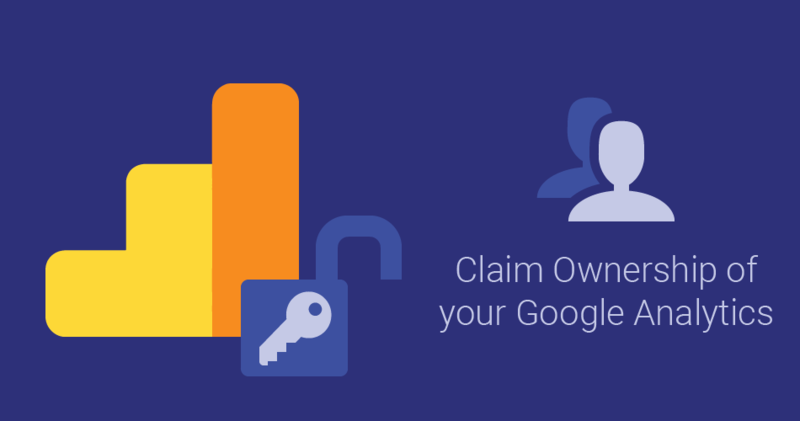 If not of the above helped you recover access to your Analytics then you will have to claim the ownership of the account. Wait for the response and provide additional information. The first thing to be able to get your Analytics back is to prove that you own the website where the tracking code is installed. This process requires adding a file to the top level of your domain. Click again on the extension and you should see something similar to the following image. Note: Don't enter the dash and the last number of your code "UA-000000-1" unless you only need access to that specific property and not the whole account. 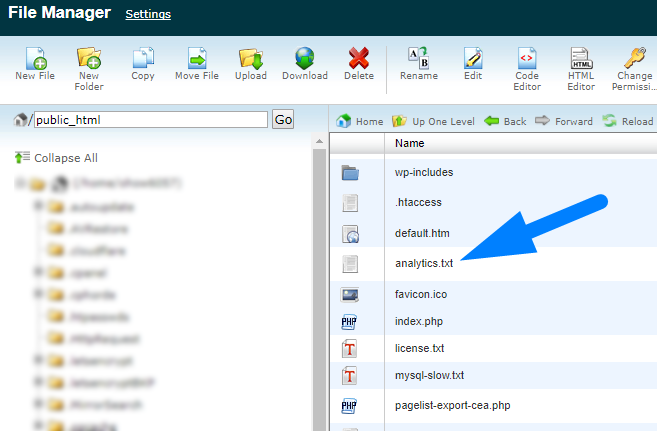 The previous file is needed to prove you manage the site when request permissions. So once you have it in place fill this form, as explained below. Most of the fields are self-explanatory. But if you are not familiar with this process you might get lost. I'll give you some tips to avoid some of the mistakes I made the first time I went through this process. 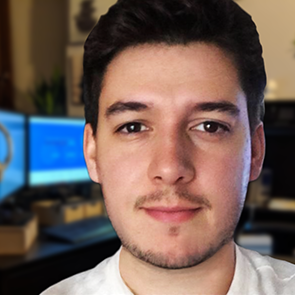 Summary of the issue: something like: "I'm trying to recover my Analytics account, I already proved ownership of the site in yoursite.com/analytics.txt" or "the GA administrator left the company and can't contact him..."
Although the file you uploaded and the form speed up the process, it is not automated. A Google representative will contact you usually within 24hrs. If there is any information missing from the form, the representative will ask you a few questions. If not they will try to contact the current Analytics administrator. Note: From the screenshot above, you will notice that I made the mistake of entering the last number of the analytics code -1 in the analytics.txt file. So I had to go back and remove it so they would give me access to the whole account. If after 2 business days there is no response from the current manager of the account, the Google employee will grant you the access based on the analytics.txt file you previously uploaded on the site. That's it now you are in total control of your Analytics account and can make all the changes and add all the users you want. 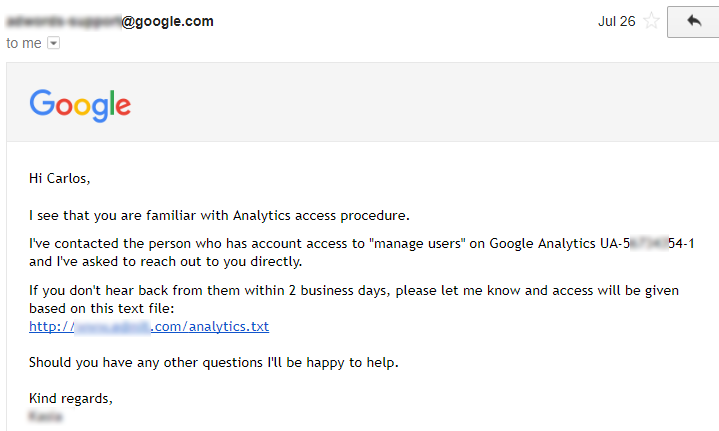 If you can't access your Google Analytics property either because the person in charge left the company, someone else created the account and didn't give you access, or simply because you don't remember which email you used, don't panic, as long as you manage the website associated with the account you can recover the account with a bit of help from Google. Let me know in the comments if this short tutorial helped you recover your Analytics or if you found any problem in the way.